Today I have a lipstick from the HIGHLY anticipated MAC X Nasty Gal collaboration! The launch of this collection was pushed back so many times that many of us were left wondering if it would ever be released. 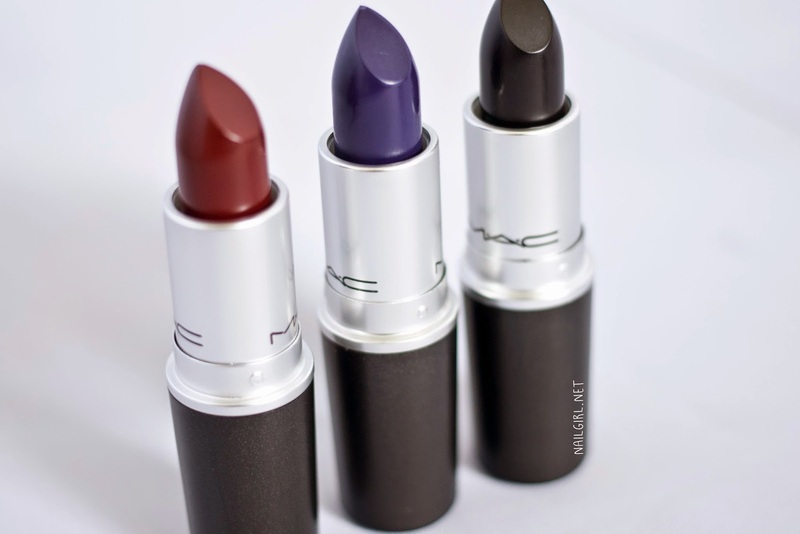 The collection contains three lipsticks - Stunner, Runner, and Gunner. 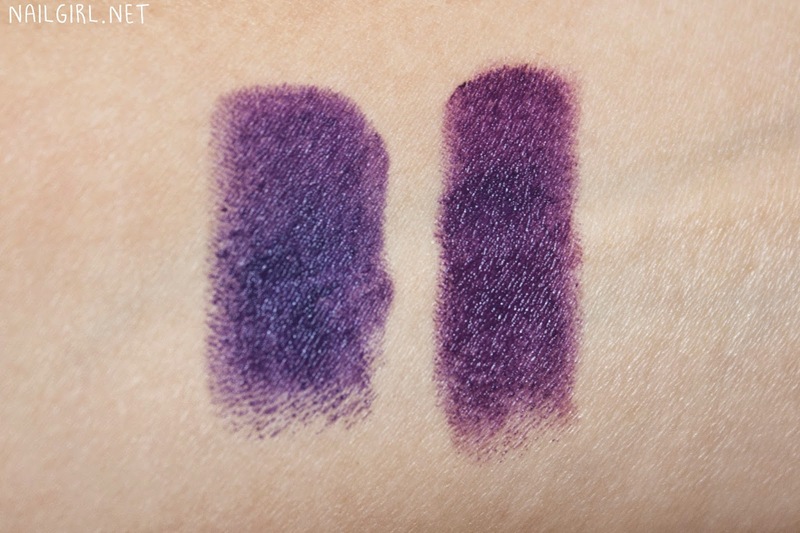 Gunner is a gorgeous deep purple lipstick in a matte finish. In this photo it's pictured with Runner (the red lipstick), also from the Nasty Gal collection and Hautecore (the black lipstick), which was originally released with the Punk Couture collection, and was recently re-released in an online-only sale for Black Friday. Gunner reminded me a lot of Punk Couture, the purple lipstick from it's eponymously named collection last year. I compared the two and found that Gunner is definitely more blue-toned than Punk Couture - Gunner is on the left and PC is on the right. Overall - if you're not a purple lipstick fiend like me, you probably don't need Gunner if you already have Punk Couture or another similar, deep purple lipstick. Did you pick up anything from the Nasty Gal collection? the collection looked good but I wish it had more to it then just lipsticks. Great post!